HRI Lodging, LLC and Hyattproudly unveil Holston House, located in the heart of downtown Nashville and the newest addition to The Unbound Collection by Hyatt brand, a group of unique, story-worthy stay experiences. 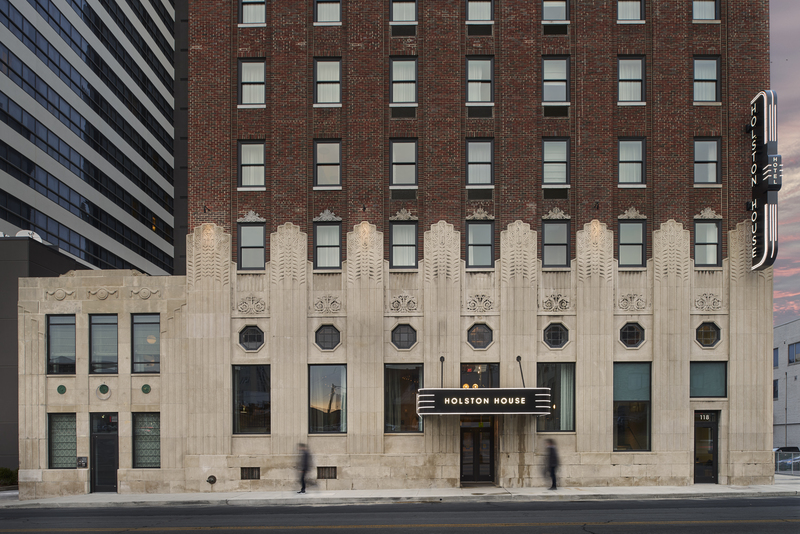 The 191-room premier boutique hotel is located in an iconic 88-year-old Art Deco building just blocks from the Cumberland River, where the city of Nashville was born. Located next to many of Music City”s signature attractions, Holston House has an ideal location for modern travelers to discover Nashville”s vibrant streets and neighborhoods. Holston House occupies the historic 1920s-era James Robertson Hotel building, originally designed by Nashville-based architects Marr & Holman in 1929. The building has been listed on theNational Register of Historic Places since 1984. The new hotel, named after the Holston River and inspired by the adventurous spirit of Tennessee”s founding fathers, celebrates Nashville”s bold originality and spirited ingenuity. 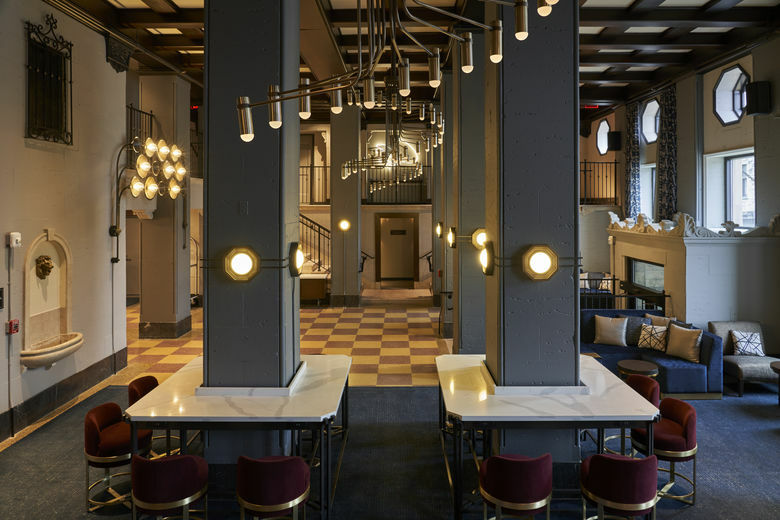 While preserving much of the building”s rich art-deco character, esteemed New York based design firm Stonehill Taylor reimagined the hotel, combining rugged modernism with authenticity through various décor elements such as classic overdyed rugs, leather accents, and wooden features. 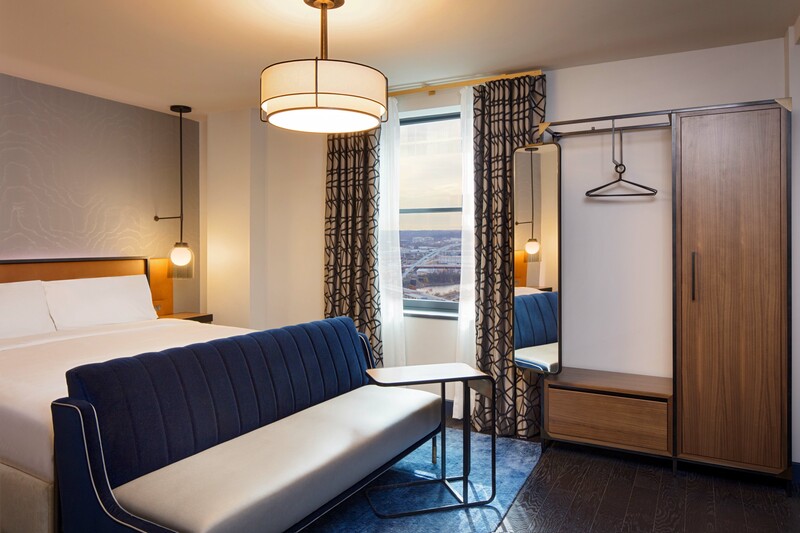 Evoking a timeless sensibility and passion for all things well-crafted, the firm also makes nods to Nashville”s famous music industry and flair, through meticulous touches in the guest rooms and public spaces. The hotel”s thoughtful accommodations and amenities include four plush one-bedroom suites, two signature 12th-floor Penthouse Suites, a fitness center, and a series of food and beverage offerings conceptedby New York-based APICII restaurant group including a signature restaurant, spacious lobby bar and lounge, as well as a dynamic rooftop pool bar. From the carefully sourced decor to the locally inspired culinary and cocktail offerings, guests and locals alike are treated to the very best of Nashville at these new dining venues.